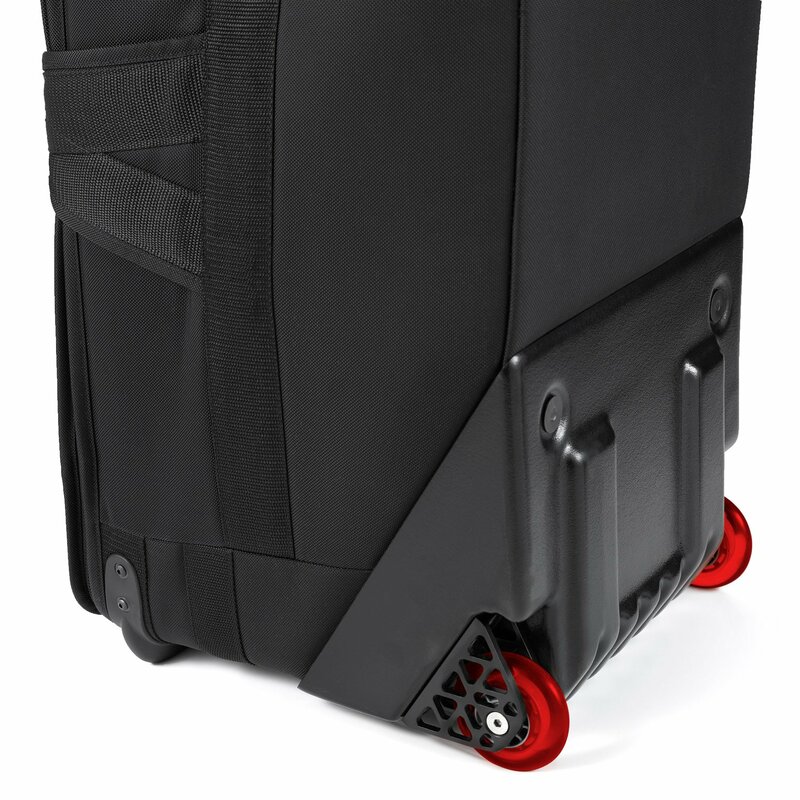 Lightware has re-introduced the Rolling Cargos back into the product line. 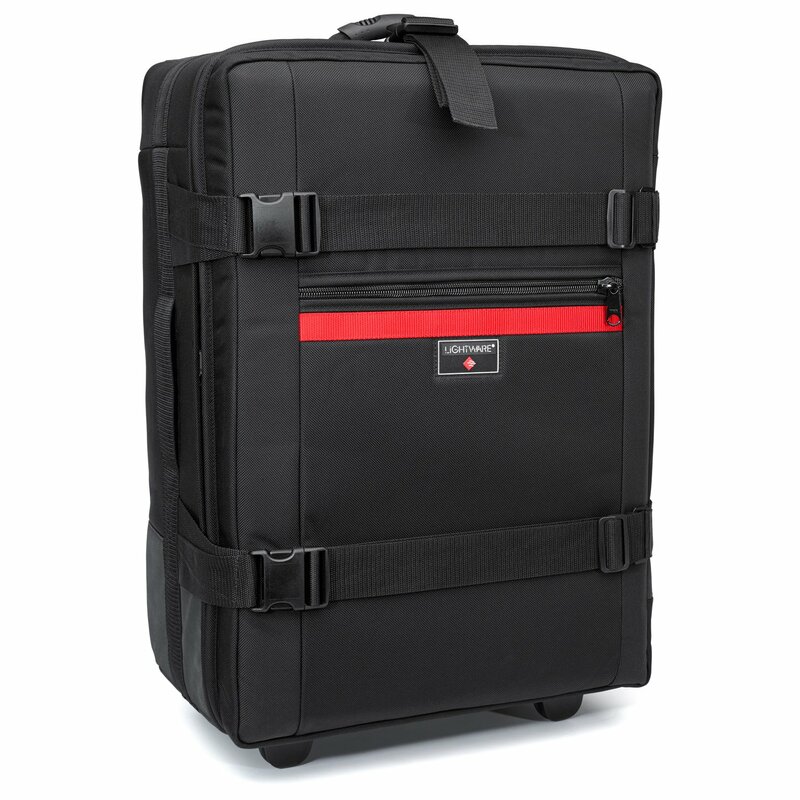 The rolling versions of the cargo case are built with a rigid inner core covered with a padded, soft tricot, velcro compatible, fabric. 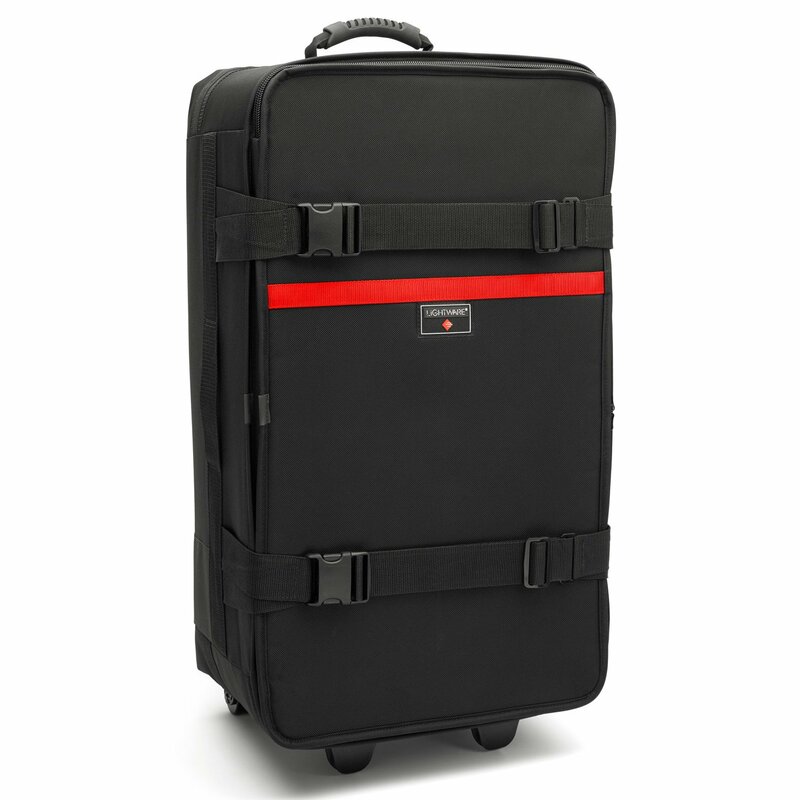 These cases are constructed to hold a lot of weight and survive countless trips in the baggage hold of airlines. The RC1044, which replaces the RC1042, is the first of two sizes to be released. The wheel system has been entirely overhauled for a stronger, smoother ride over just about any terrain. The former plastic wheel housings have been replaced with machined T6061 anodized aluminum housings which are made right here in Colorado. This means greater support for the sizable weight they can carry and less likelihood for wheel failure. 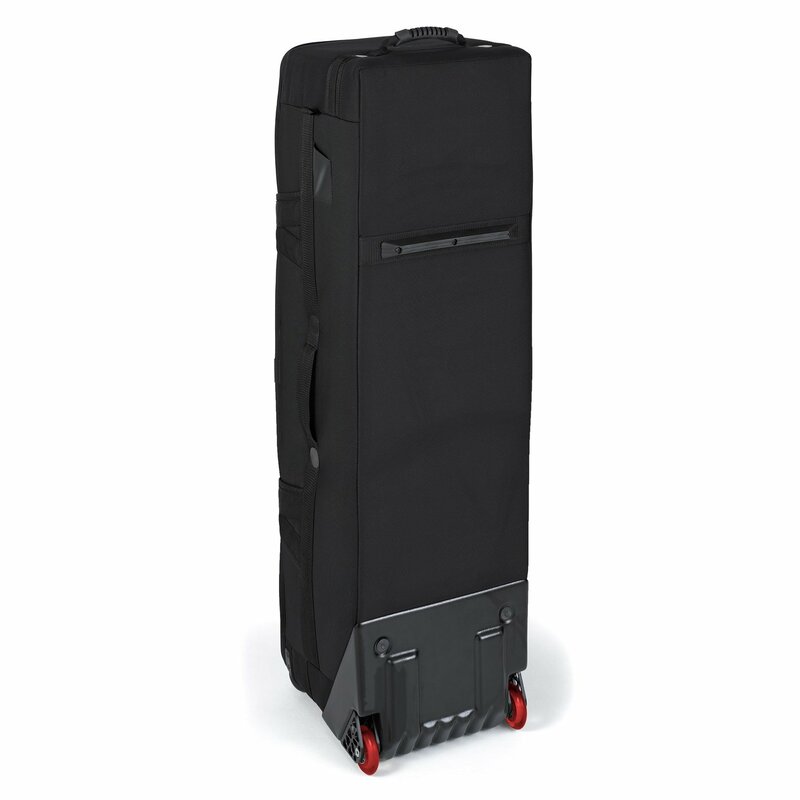 The high speed skate wheels with Abec bearings make this case a pleasure to wheel to almost any location. The kickplate has also been modified to have greater strength and better skid protection for stair climbs. 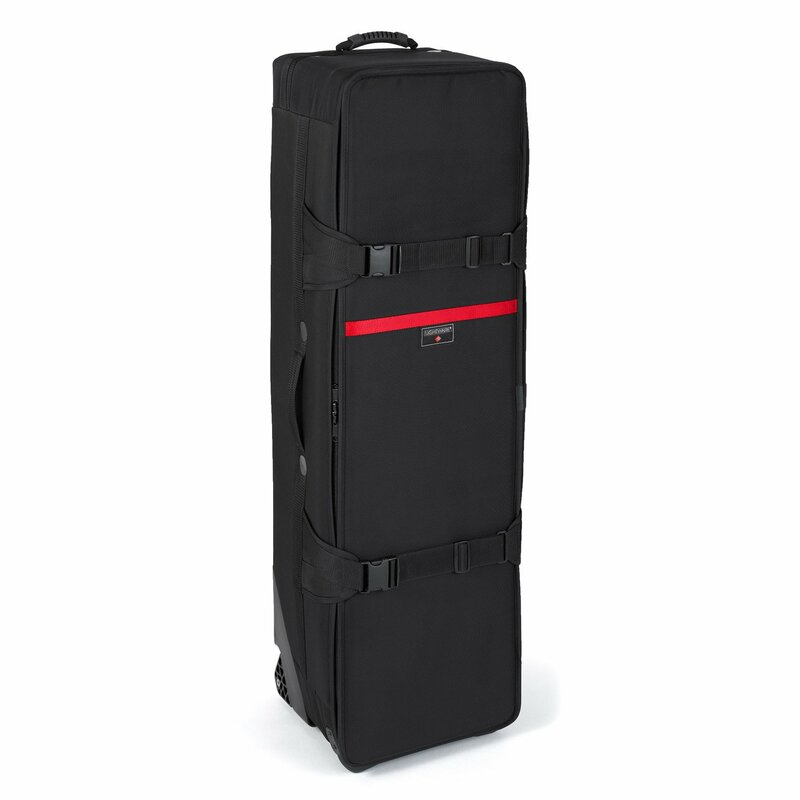 Even better, the RC1044 Rolling Cargo has grown in length to handle longer items like the Elinchrom® Octabank. 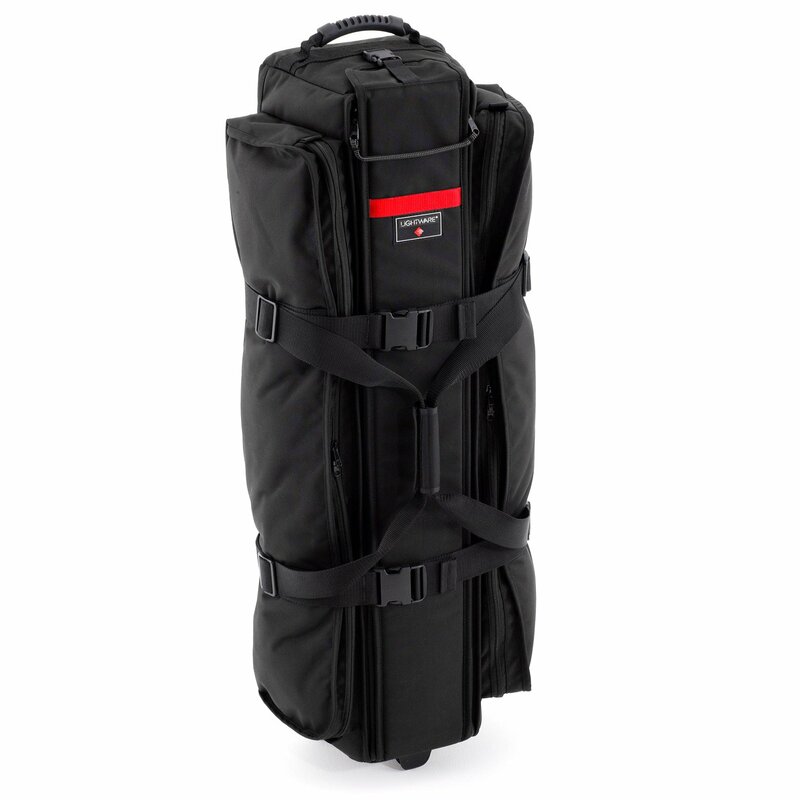 Rolling Cargos have a flip lid zippered top for easy accessibility and can be buckled shut for quick closures while shooting on the fly. 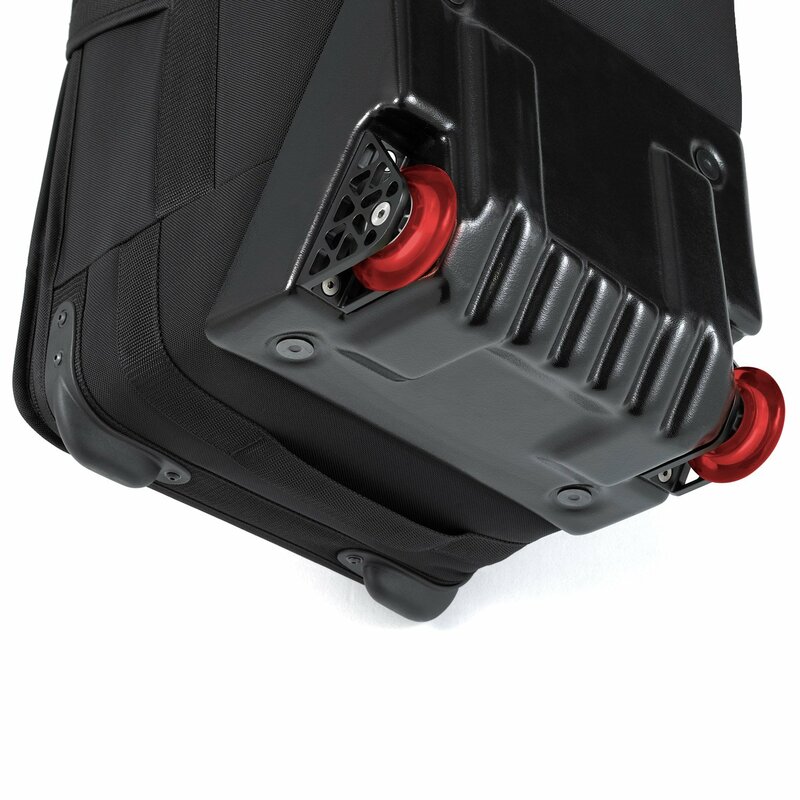 A molded,ergonomic end handle adds comfort in steering the Rolling Cargo, while side and end grab handles aid in ease of loading the case while traveling. 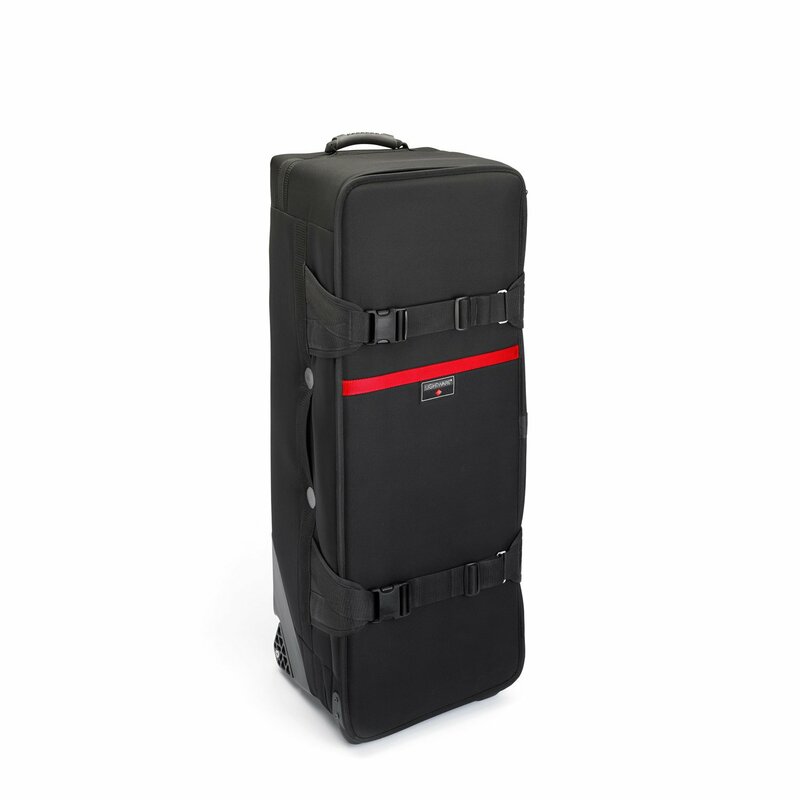 Handles are bolted through the superstructure of the case for added strength and longevity. 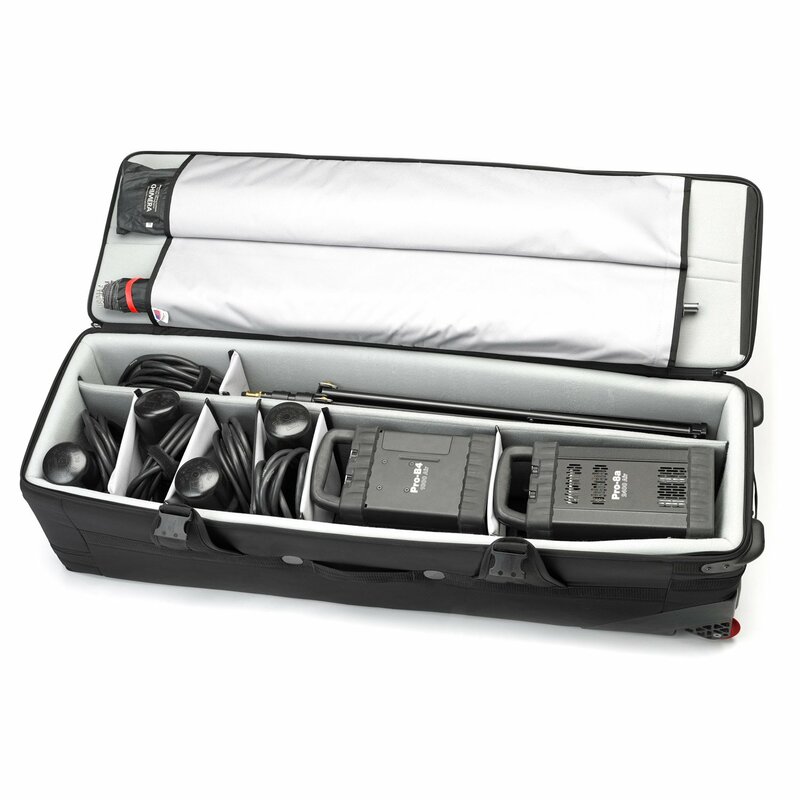 The interior lid has two sleeved compartments for light boxes, umbrellas or small fabric backgrounds. Dividers are included to help organize and separate equipment. 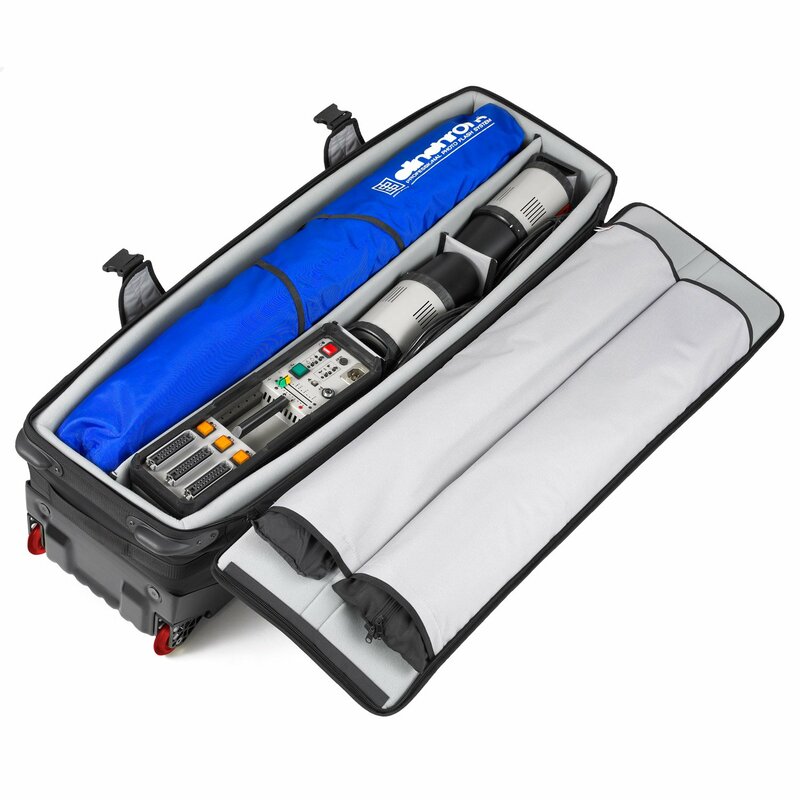 Whether needs are for video or still photography, the Rolling Cargo is ideal for hauling a lot of equipment in one case and built well enough to last for years to come.